The last thing that I often want to do after a long day in the office is to have to cook dinner. Sometimes I just want to go home and chill out. This is where online ordering websites like Menulog (http://www.menulog.com.au/) come in to give me a day off from the kitchen. A number of restaurants on Menulog also provide home delivery service (free deliveries for orders over $25), so you can truly have a lazy night in. Thanks to the good people at Menulog, I received a $30 voucher to test out their website. It was freezing outside so I needed something to warm the soul. 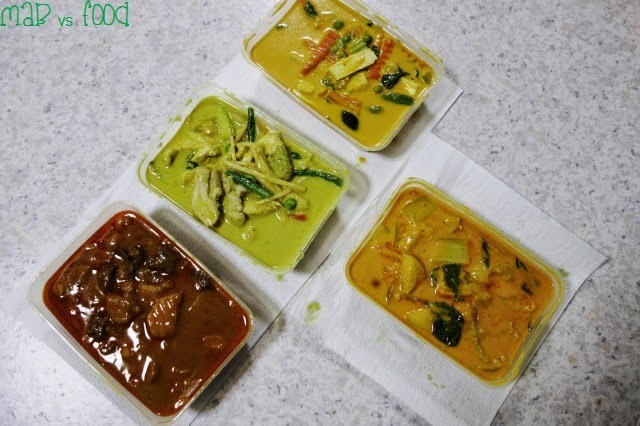 Thai curry fits the bill well so I decided to use the voucher to order a few dishes from Oriental Ricebox in Burwood for dinner with my folks and have them delivered to my doorstep. Now the waiting game. I chose to have my food delivered at a later time (at 6.30pm) and my food was promptly delivered just after 6.30, to my growling stomach's pleasure. So how was the food? It was great for takeaway! The curries were all tasty and they arrived piping hot; this confirmed why Oriental Ricebox is featured in the SMH Good Food Under $30 guide. 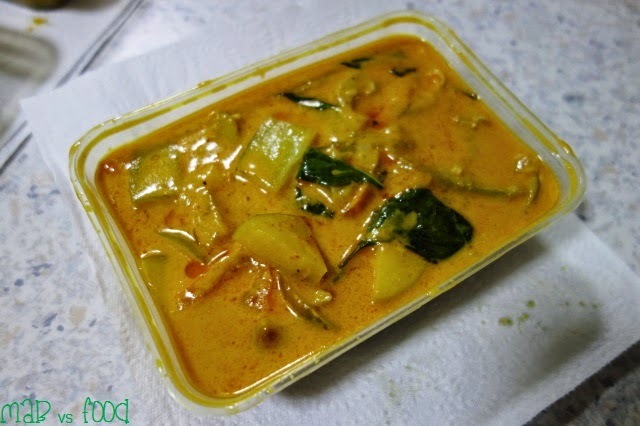 The curries were decently priced too around the $13 or $14 mark. The portions may not big, but you get lots and lots of sauce (My Kitchen Rules judge Manu Feildel would never complain about lack of sauce here). Perfect with a bowl of fluffy boiled rice! 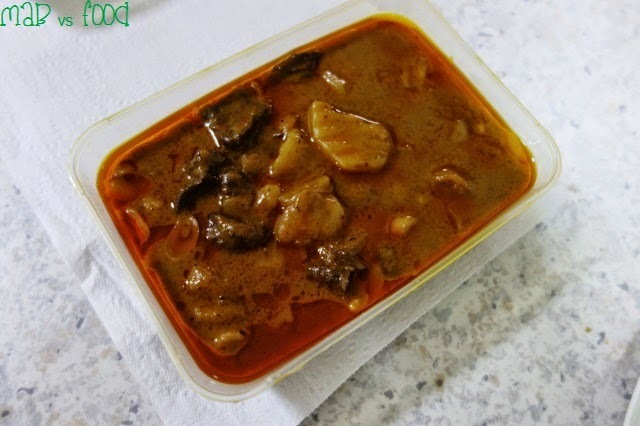 The fruity duck curry consisted of pieces of roasted duck in a spicy red Thai curry sauce, with pineapple, cherry tomatoes, grape, apples and cucumber. More sweet than spicy, the Mosman beef curry (in reference to the restaurant's former home in the North shore) came as tender chunks of beef and creamy potatoes simmered in coconut milk, and Thai massamun curry. 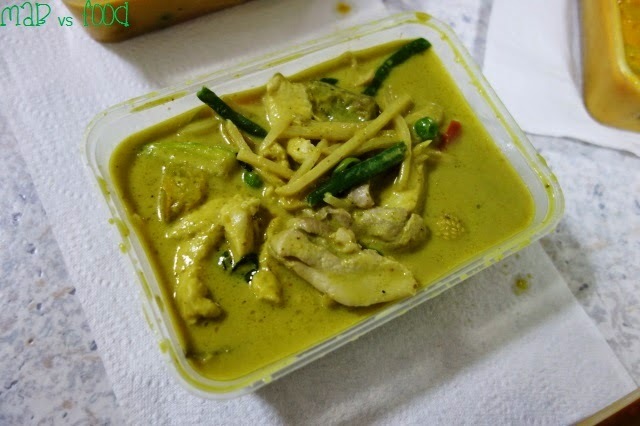 Green chicken curry was just as expected: hunks of chicken and vegetables in an aromatic, spicy Thai green sauce with kafir lime leaves and basil. 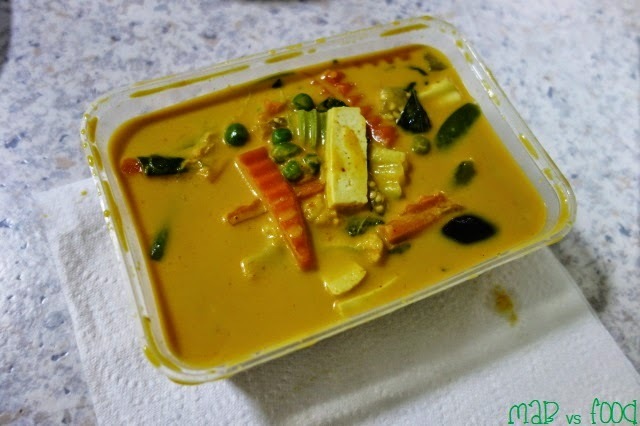 And for my vegetarian wife, we ordered a mild vegetarian red curry to cater for her low tolerance to spicy food. I am satisfied with Oriental Ricebox and the Menulog service. Menulog is very easy to use and with so many restaurants serving many different cuisines, it probably won't be too long before I will use Menulog again. 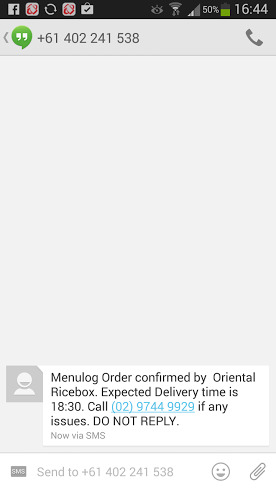 I received a $30 voucher from Menulog. Thanks to Joshua Sorell for arranging this opportunity. Opinions are my own.